The Beach Bar in Lossiemouth has been reduced to a ruin. 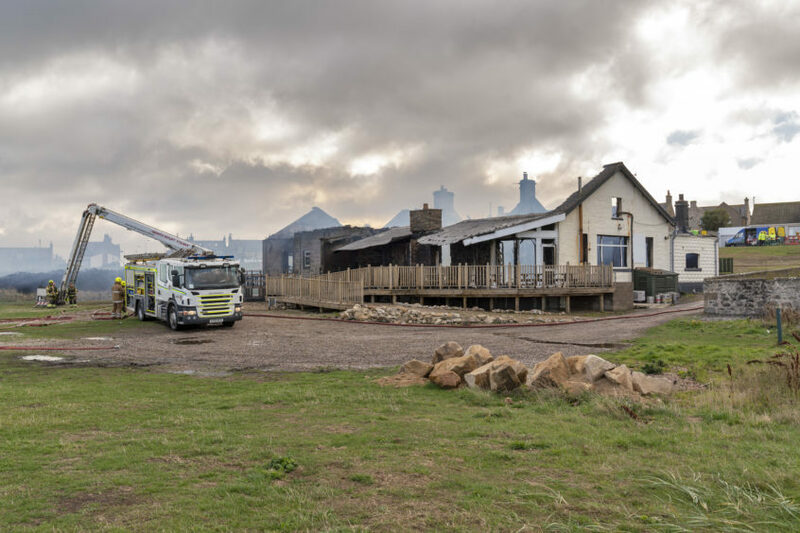 Fire crews were called to the Beach Bar at Lossiemouth at 6am. Fire crews began battling the blaze at about 6am. Owner, Graham Fleming, posted a message on Facebook hours later appearing to suggest that the building he poured his life’s work into was beyond saving. Mr Fleming, who invested £120,000 into expanding the premises by adding a viewing room looking out onto the Moray Firth in 2016, said running the business had been his dream. He said: “We’re born with dreams…. And we work and we work to build those dreams. 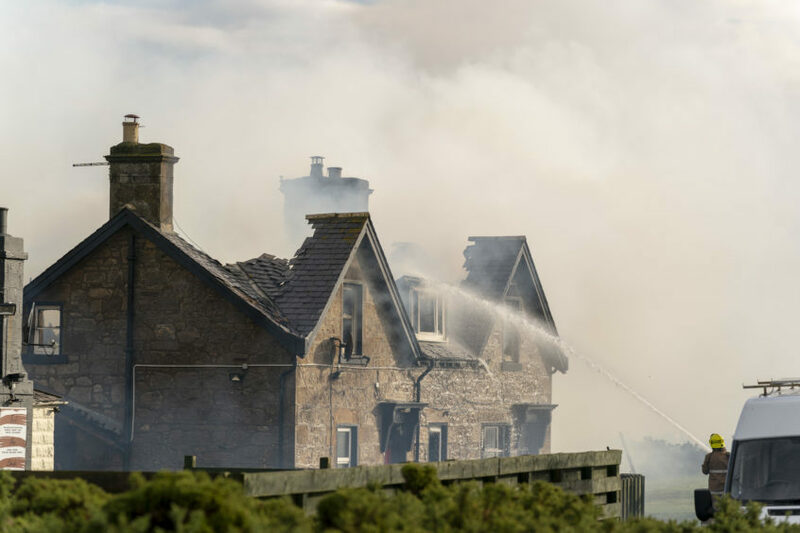 Water was pumped from the Moray Firth to help fire fighters. A spokesman for the fire service confirmed that crews were called to the bar on Commerce Road at 6.03am. They added that the fire had spread to nearby gorse due to strong winds hitting the north today. There are no casualties and firefighters are anticipated to remain at the scene throughout the morning. 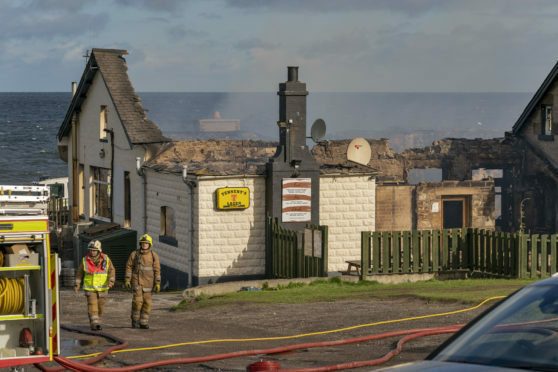 Fire 🔥 at the Beach Bar in Lossie….Looks pretty bad!! Electricity supplies were briefly cut off as a result of the emergency before being reconnected again later in the afternoon. 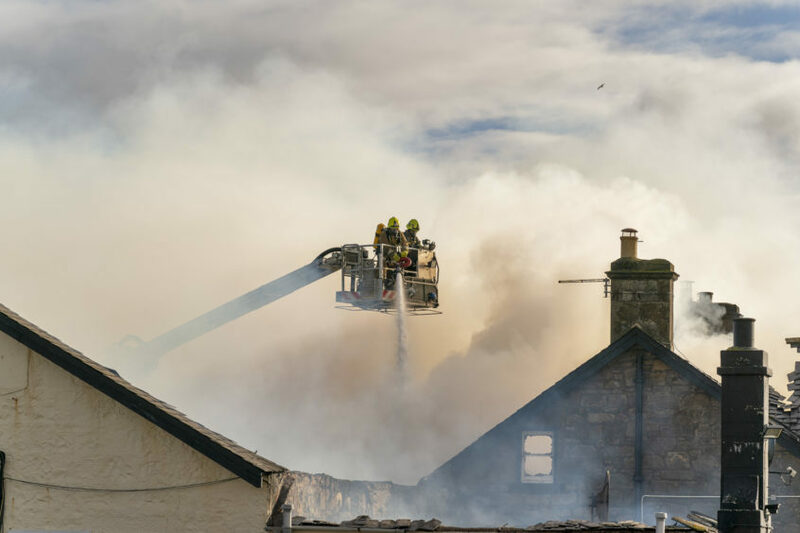 Fire crews are expected to remain at the scene throughout the day.